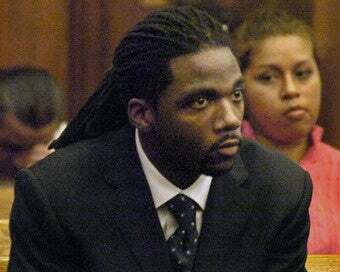 Roger Goodell dropped a very big hammer on Donte' Stallworth, suspending him without pay for the entire 2009 season. Goodell said: "Without regard to the merits of the disposition of the criminal case, I believe that further consequences are necessary." This is the second time since Goodell instituted his new "Personal Conduct Policy" back in 2007, that the league has suspended a player for an entire season over a non-football issue. (Adam "Pacman" Jones got the first one.) He can be re-instated after the Super Bowl. Many critics have complained about the leniency of Stallworth's legal punishment for DUI manslaughter in Florida, but now it's much harder for anyone to say that he got off "easy."